We love working with a crowd! 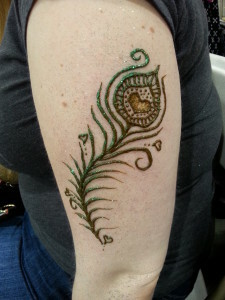 Paisley Peacock Body Arts’ experienced artists are friendly and fast, and turn a visit to your event into something they and their friends will be talking about for days or weeks- every time they see their design. We do almost any type of event, from company picnics, to college events, to store grand openings. We have several excellent artists, and can work with any size crowd. We are fully insured, for your peace of mind. 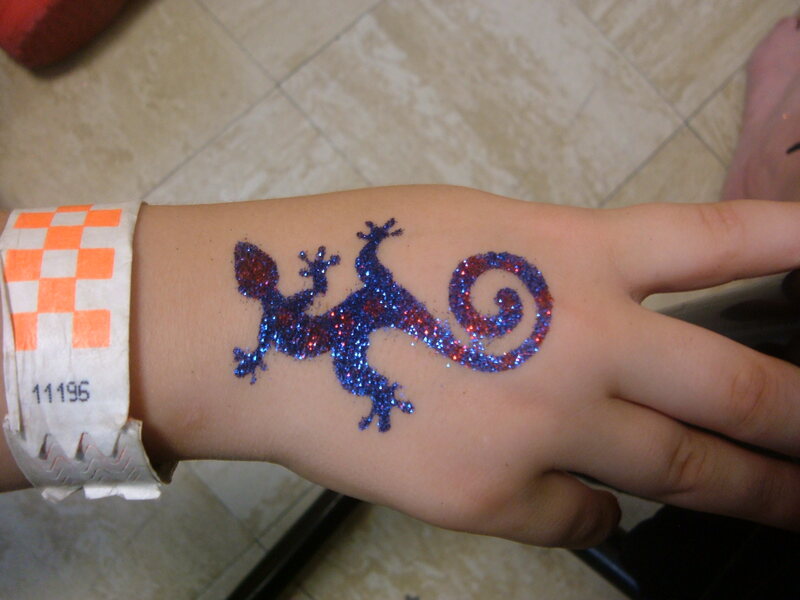 If you want something to entertain kids, glitter has a BIG advantage over face painting! It’s dry and touchable immediately and does not smear. It also lasts for 2-10 days. If you’re a business, we have the ability to do your company’s logo in glitter. That means that happy children (and happy children’s parents!) will be telling people about your event for days! It’s both great fun and great advertising. Entertainment companies frequently charge $150 per hour or more. By booking directly with us, you get the same artists for only $120 per hour. Please contact us with your event details to find out how many artists will work best for your event size.